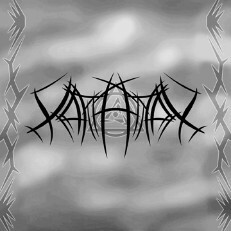 Karathos (Kah-wrath-ose) is a American Technical Black metal band from Omaha NE, formed in early 2010. It was founded by Kyle Androy bass and vocals and Joe McLaughlin Guitar and vocals. They're music styles Joe's being more technical and progressive and Kyle's being more black metal and old school death metal ended up being a good blend. This inspired them to create Technical Black metal music. 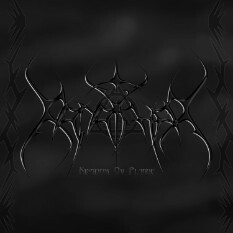 Playing off traditional black metal orchestrated style sound blended with more technical progressive riffs and rhythms. They have thrash style guitar tones, powerful drums, and jazz like bass. They also blend in a clean jazz and classical style. Karathos was formed March 26th 2010. Joe McLaughlin responded to post on myspace from Kyle Androy about starting a musical endeavor. They quickly found that they shared a lot of musical interest and after a few jams they discovered there collaborative ideas worked well together. Among the first songs developed were Plague Ov The Gods which was a previously unfinished song Kyle had been working on and Rats In The Walls. The search for members began. Kyle got in contact with Steve Pelish an artist to do the first Karathos logo who just so happened to play guitar. He joined shortly after. The hunt for a drummer was a different story. Many a drummer were auditioned and most didn't work. After looking for nearly a year they finally auditioned Joey Cardenas. He picked up on the music very quickly. After two months of rehearsals Karathos was finally ready for live shows. In summer 2011 the band experienced some growing issues with Steve Pelish. They realized they were growing apart. The band Parted ways with Steve in July 2011 after Endfest a show in Omaha NE. The current logo was also designed by Joe McLaughlin at this time. Karathos started working on there first EP. There was no replacement for Steve the band continued on as a three piece. The recordings for Kingdom Ov Plague were done by means of Joe McLaughlin's home studio. Unfortunately things began to not work out with Joey Cardenas. Due to this he was not featured on the ep. uncertain of Joey's future in the band live drummer Cody Heinke was recruited. They then finished out there 2011 shows and completed Kingdom Ov Plague which was released on December 8th 2011. Kingdom Ov Plague featured five songs Battles In The Frozen Kingdom, Slayer Ov The Gods, Rats In The Walls, Bloody Fate, and Plague Ov The Gods. Limited to 50 prints. It also features a cover song from Inquisition only featured on physical copies. The ep has a very raw sound and reflects old school black metal recordings. The songs on the album range from very black metal inspired, to doom, to more technical styles, and thrash. The whole album was recorded by Kyle Androy doing bass and vocals and Joe McLaughlin doing guitars vocals and drum programing. A welcoming return of Joey Cardenas on drums but a slow year for rehearsals and shows. Living conditions had changed leaving the band too far apart to do anything on a regular basis. The focus changed to recording the first album instead of performing very many shows. Recording became a drawn out process and with other obstacles and accomplishments in the bands personal lives. The band realized the album wouldn't be done in 2012. It was decided in mid fall an ep would be released instead to have something to show for the difficulties the year had brought on them. 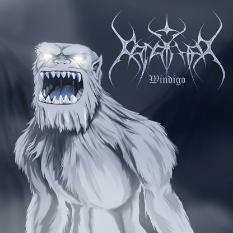 Windigo EP was released on the supposed 2012 Apocalypse 12-21-12. Again it was produced in Joe McLaughlin's home studio with Joey Cardenas producing his own drum tracks. This EP contains four tracks two previously unreleased tracks Where The Windigo Walks, and The Shadow Out Ov Time and two previously released tracks Plague Ov The Gods, and Battles In The Frozen Kingdom from the upcoming full length album. Windigo still has a rawness to the sound but blended with a fuller more studio produced aspect. The tracks Where The Windigo Walks has a more doom inspired progressive feel to it where as The Shadow Out Ov Time an instrumental track has a more of a fusion of elements the band has to offer. Plague Ov The Gods and Battles In The Frozen Kingdom are newly recorded versions featuring some new elements and drums from Joey Cardenas which have never been released on any previous tracks. After a few successful shows in early 2013 and the addition of Derrek Christians on second guitar. The band went through more setbacks through the summer and in the fall Kyle Androy decided to relocate to Texas, to continue his musical endeavors, something he'd wanted to do for quite some time. The remaining months of 2013 were spent getting things back on track. 2014 looks to be a big year for Karathos. A lineup change, recording, new material in the works including 3 new songs already written as well as a much overdue return to the stage.